Been really homebound at the Smile Jamaica Ark-Ives. Allergies for sure-ty. Cold wet weekend made me an invalid. Dayquil, Nyquil. No dice. Called my beloved mother, Jeannette, wished her a happy Mother’s Day in a Jah-tana blizzard. Chatted up my best pal Tristin. And watched my beloved Giants spank the hated Dodgers in extra innings. Being homeward bound made me plow into the treasures of the Smile Jamaica Ark-Ive. So I am a Librarian by trade. And like Sanitation Engineers mop floors, Librarians are Information Engineers. We organize information into searchable format. I have an Excel database that tracks A side: Artist, Song; B side: Artist,Song; Record Label; Producer; Year (very hard sometimes to find); Reggae Band laying down the riddims. 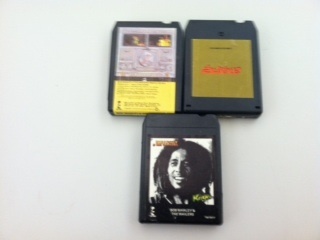 Other metadata like: herb tune, Marley tribute, soul cover, etc. Then I give each side a grade. Boney ‘L’ & Vibronics – Babylon Children b/w* Vibronics – The Return (Jah Tubbys); A side is female roots on a good militant steppers riddim. Militant Steppers is the martial Euro dubble time stiff drum and spongy echo. B side is cool instrumental by the Dub group Vibronics. Johnny Clarke – Dreader Dread + Clint Eastwood – Dread Lion b/w Horace Andy – Guiding Star + Tappa Zukie – Jah Is I Guiding Star (Attack Gold); cut ‘n’ mix using Bunny Lee’s production of King Tubby mixing the flying cymbal attack of the Aggrovators. Version rides recycling hard riddims. Both jams are high impact examples of early 70s Rasta commercial roots. 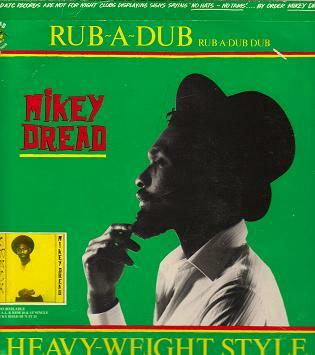 Mikey Dread – Heavyweight Style b/w Rub-a-Dub (Dread the Controls) ’82 picture sleeve. Spongy riddims featuring the singjay. Studio craft with false starts, trombone melodies and sticky downbeat. Mikey’s cartoon vox celebrates the tough riddims. B side is a notch better. “Music is my butter, music is my bread.” Rub a Dub: the excuse needed to grab your gal and wind up her waist on the dance floor. Deliberate one drop, more measured, where the twisty groove pumps bass at your groin. 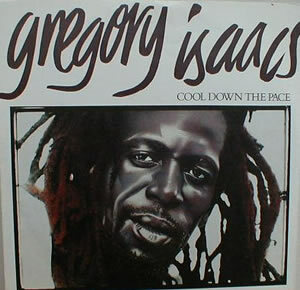 Gregory Isaacs – Cool Down the Pace b/w The Stranger (Island) ’82 picture sleeve. Mixed by Groucho Smykle who updated Black Uhuru’s contemporary sound. These are inverted tracks where it is mostly dub riddim where Gregory meanders in and warbles over an early 80s digital drum sound. Jah Mason & Robbie Valentine – Ganja afe Free b/w Mike Anthony – Culture Calling (Sip a Cup); 2005 Militant Steppers powerhouse produced by Gussie P with riddims by Mafia & Fluxy. A side is a combination style herb tune. B side is a great roots and contemporary dub jam. Keith & Tex + Scotty – Tonight + Children Children b/w Pablo & Fay – Bedroom Mazurka (Trojan) UK reissue of some classic Derrick Harriott productions. A side is the great slinky riddim moving into Scotty toasting a nursery rhyme. B side is Pablo’s melodica dreamscape over Fay’s come hither seduction. Jamaican novelty update. 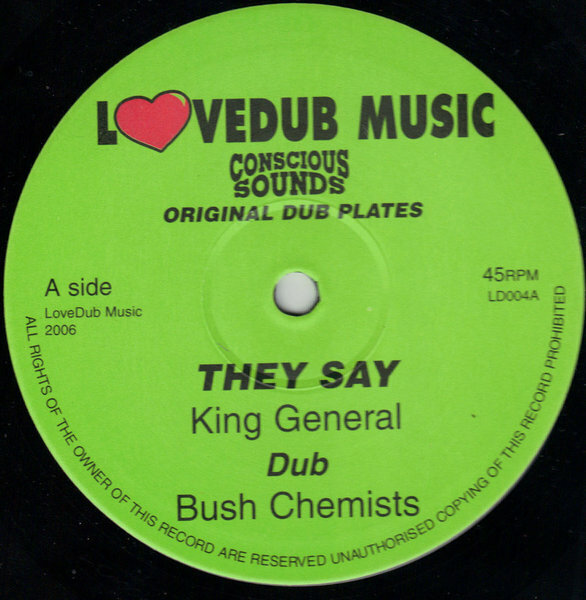 King General – They Say b/w Centry – King of Kings (Lovedub Music) 2006 Conscious Sounds Bush Chemists militant steppers mutant dub mashup. A side is a great high voiced singjay herb tune, “They say Sensimilla can’t smoke”. B side is a different riddim instrumental. I used this one to test out my new stereo setup since I had to upgrade my TV/entertainment center over the weekend. Barrington Levy – Mr. Money Man b/w Super Chick Me a Champion (Hit Bound) ’83. Trademark Barry warble over a subtle rub a dub groover. Very atmospheric protesting against the banksters vexing the working poor way back when. B Side is female sing jay. Very off key on the singing while stepping it lively on the deejay toast ‘n’ boast. Psychedelic extended mix once Chick steps aside. Derrick Morgan – Conquering Ruler (2002 Re-Visit) b/w Martin Campbell – Old Time Dance (Channel One UK). Featuring the Hi-Tech Roots Radics. A is a Rock Steady classic update. 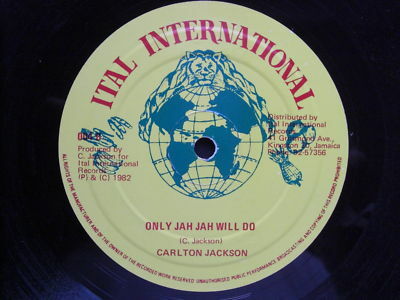 B side is better as a celebration of Reggae inna dancehall style. 3 versions per side: vox, vocal/dub, dub. Bonus beats are always a treat! 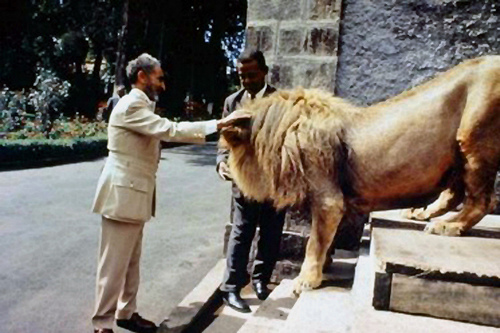 Good day to celebrate His Imperial Majesty with roots ‘n’ dubbers paying tribute!